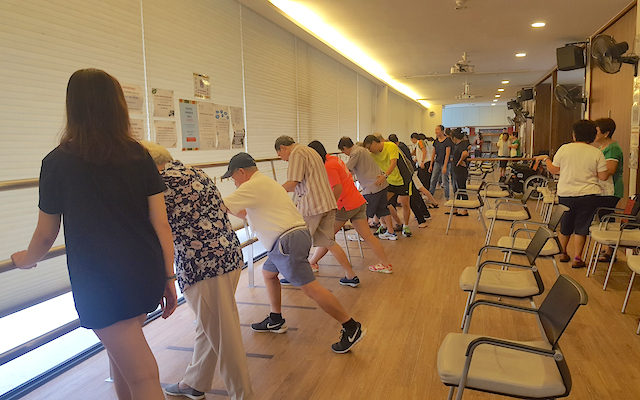 We are the only support centre for people with Parkinson’s in Singapore and our focus is on improving the quality of life of our patients. We aim to promote awareness and understanding of Parkinson’s while actively supporting patients with information and physiotherapy exercises, to upgrade their well-being and care. Although the society has been active for more than 20 years, our own premises at the Parkinson Centre opened in 2013, where we now host classes, workshops and support groups. We offer 13 physiotherapy classes of various levels, all conducted at the centre, on a weekly basis. Other popular activities include t’ai chi, dance therapy, yoga, Chinese calligraphy and singing classes. All classes serve about 100 participants, and we have approximately 500 active members at the moment. We usually have one major outreach event each year with other campaigns and projects running throughout the year. Our major event in 2017 was Move to Beat Parkinson, where the local Parkinson’s community and the general public join for a morning of non-stop activities. Last year, we achieved a record attendance of over 350 participants – at an event that got media coverage in both English and Mandarin Chinese national newspapers as well as daily news programmes. 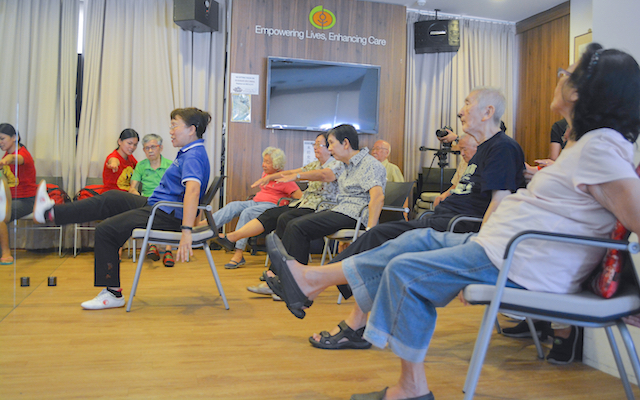 The symptoms of Parkinson’s have long been mistakenly associated with common signs of natural aging in Singapore, and many senior citizens do not seek medical help until their condition has deteriorated. 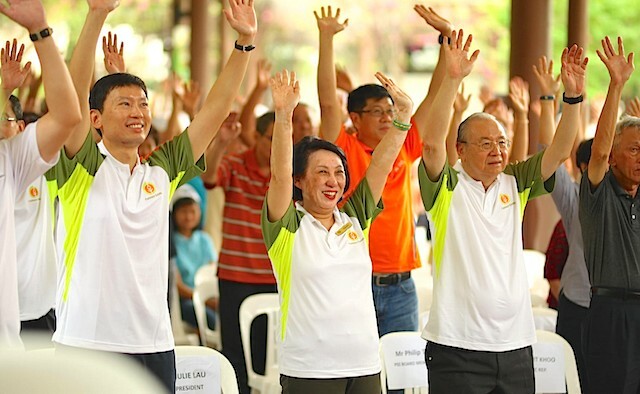 This is a particular issue for us, because Singapore has an increasingly greying population, which is set to exacerbate due to the steadily declining birth rate over the past few decades. The biggest struggle for us is the lack of public awareness and funding. 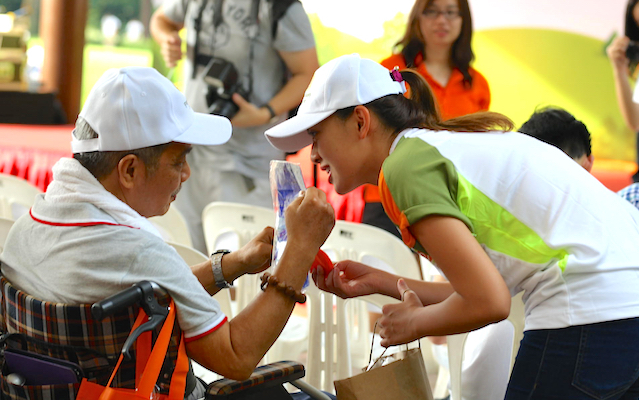 Many people in Singapore don’t know about Parkinson’s until they or a family member are diagnosed. When people don’t see Parkinson’s as a critical health issue, they don’t tend to seek any solutions or treatments to better their lifestyle. Apart from the lack of awareness in the country, we also have adaptability issues and a shortage of healthcare professionals. Over the last 20 years, we have been working with traditional print media. It wasn’t until last year that we managed to evolve and keep up with the digital age to reach out to the wider public. As with many non-governmental non-profit organisations in Singapore, the scene is almost saturated regarding resources and attention. The government also has strict legislation regarding fundraising, making it difficult for us to raise money and to reach out to a bigger audience. However, this hasn’t stopped us from organising increasingly popular public and community events to increase awareness of Parkinson’s disease, encourage people with Parkinson’s to be active and positive, and to bring people together. We also collaborate with corporate partners, community engagement programmes and students who, for example, organised the Parkinson’s Simulator, which enabled people without Parkinson’s to get involved in activities to help them understand the daily struggles facing those with the condition. Although we are the only centre in Singapore, we do work closely with support groups in public hospitals, namely Tan Tock Seng Hospital and Singapore General Hospital, which organise monthly support groups. Both public and private local hospitals provide adequate services for people with Parkinson’s in the country. Therapy services such as physiotherapy, occupational therapy and speech therapy are also provided by both public and private institutions, and most public hospitals have their own therapy treatments. However, there are very few neurologists specialising in Parkinson’s in the country, so patients will only see their neurologists every six months. For the patients who prefer more frequent therapy options, they can go to non-profit or smaller organisations like ourselves. There are still two groups of people that we aren’t able to reach with our current resource levels – the housebound and people with young-onset Parkinson’s who are unable to attend our classes due to full-time working hours. We are hoping that in the near future we will be able to reach them too. We would also like to change the perception of the illness, by changing the mind-set that Parkinson’s is a death sentence, especially amongst our older clients. We therefore hope that we will see greater public acceptance of people with Parkinson’s – especially in the senior community – and reach patients on a much wider scheme in the country, with the help of new technologies. Read more: Could physical therapy be the future of specialised Parkinson’s care in Brazil?